I truly think that they allow me to escape from everything, to not think about the worries in my life – for them to open up about theirs, to go through their life moments, their emotions, relationships and their memorable moments I believe is just wonderful. Although I have not been able to find anyone I know apart from my brother who watches Youtubers, I know that there is a huge fan base out there, in which I can quote from one of their clips and someone would know exactly what the hell I was on about. My first ever Youtuber that I ever followed was the gorgeously beautiful Zoe Sugg aka Zoella. She is absolutely adorable, her little videos are so pretty and it helps that she is lovely too! I am very jealous of her hair, her now new flat and what she looks like. I love how open she is with her anxiety and panic attacks as I have had them in the past, her hauls and beauty/make up vlogs have also allowed for me to buy things I wouldn’t buy before and I love that. I just love her enthusiasm, even when she is feeling down the vlog is still great! 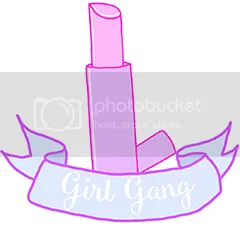 She writes her own blog as well which is really detailed and very fun and girly, if you wish to check that out click >>>>>>>> LITTLE ONE <<<<<<<< or if you wish to check out her videos click >>>>>>> I LOVE ZOELLA <<<<<<<< Make sure you check out her second channel More Zoella too!! Next is someone who I absolutely love, Louise!! I am often told that I am pretty much like Louise in many ways than one and I find that an absolute huge compliment. She is so funny, beautiful and an amazing role model for anyone out there. She is very honest, emotional, funny and with her favourite “chummy” best friend Zoella they make the best videos. Watch out for her gorgeous little munchkin Darcy who has been nicknamed as Baby Glitter and with her lovely husband Matt they make a wonderful family. She is often very honest and I do love that about her, especially with her weight, diets, the way she looks etc. I don’t know whether because I went to Uni where she lives I have an even stronger connection to her, because I watch her videos and think oh god I have been there, oh wow imagine if I went past her loads in the past! She too has a beautiful blog >>>>>> CHUMMY <<<<<<< and of course her weekly vlogs >>>>>>> SPRINKLERINOS <<<<<<< Make sure again that you check out her second blog Sprinkle of Chatter. Haha so far these have all been linked to Zoe and this cheeky chappy is no exception, he is the younger brother of Zoella and he is just as funny and lovely as he appears in the photo shown above. Joe takes us through his routines of the day, often taking us to work with him being a thatcher, he does amazing impressions of celebrities and public figures and of course often likes to play pranks of his fellow Youtubers. He is hilarious, I promise you. Joe is sometimes involved with Jim Chapman in many scavenger hunts through the Daily Mix challenge and that’s where I actually found out about Joe. Again Joe does not have a blog but he does have a lovely Tumblr so if you wish to check that out >>>>>>> I THATCH ROOFS <<<<<<< and of course his lovely Youtube channel >>>>>>>> MINI SUGGLETT <<<<<<< As always check out his second youtube account too! If you want to be flirted with over the internet but also be slightly concerned about someone’s mentality – Caspar is here for you. He is amazingly witty, funny and has many one liners which many would not think of. The first time I watched one of his videos I did think, wow this boy is really awkward and being really strange, but the more you get to watch his videos you realise he’s definitely unique. He’s one cheeky boy and he loves the ladies and the ladies love him. To check out his Tumblr >>>>>>> SOUTH AFRICAN ACCENT YUM <<<<<<< and his lovely funny youtube >>>>>>> MR AWKWARD <<<<<<<< and yet again check out his second youtube too! Talking of Jim here he is, what a fine handsome man that he is. Absolutely polite, lovely, comes across as completely and utterly charming and using his English gentlemanliness to his advantage. He likes to challenge himself in a number of videos, talks to his viewers as best friends and we really do get involved with his life. He is a little boy at heart loving all of his comic books and toys but his love for Tanya and how proud he is, is just beautiful to watch over the vlogs. Watch out for him coming up in a new ITV2 programme with Caroline Flack in which he will be a presenter, I cannot wait finally this may show people that I know the Youtube community are great! Currently it looks like he is investigating into a blog, but here is his Tumblr >>>>>>>> BEST FRIENDS <<<<<<< and be prepared to fall in love with his youtube >>>>>> ENGLISH GENTLEMAN <<<<<<< Watch out for other youtube video channels too! S-U-B-S-C-R-I-B-E to Marcus Butler TV!! God I love that jingle. If you watch his channel you will know what it’s all about. Marcus’ vlogs are different to all the rest and are often twice a week, he talks about day to day life, he has challenges or he dresses up as Margaret and what a lovely lady he makes. Haha! Everyone knows Marcus by his catchphrase opening up Helloooooooooooo and of course his beautiful quiff and lovely little rosey cheeks. He’s from Brighton so often hangs out with Alfie, Zoe and is good friends with Caspar and Sawyer. He is very open and honest about particular subjects in life and is there for some great advice, watch out for his 1 million subscriber rap though 😉 His website is really cool so you’ll get to learn loads about him >>>>>>>>> HELLOOOOO <<<<<<<< and his Youtube >>>>>>> SUBSCRIBE <<<<<<<< Check out his other accounts too! So they were my favourite British You Tubers, yes Caspar is classified as South African but he is often put in the British category. Here are my favourites from around the world. He is an advocate for fun, being you and living life to the full. His videos are really good fun and always positive – especially the drunken ones with Sawyer and Mamrie, if you are ever feeling down please I urge you to look at them! I think most of the internet would like for him and Troy to get together, they are just really cute together. I really did not know that Tyler is the same age as me, which shocked me as I thought he was a lot younger. He does a lot of collabs which are a lot of fun and comes up with the funniest sayings, very flirty and has a zest for life. His lovely Tumblr which is updated constantly is >>>>>>>> LILAC HAIR <<<<<<<<< and his brilliant Youtube >>>>>>> DUBAI <<<<<<<< I have only just found out he has a second Youtube so check that out if you can, more daily vlogs. Next One night can change your family – family life. I love this list so much as they’re most of my favourite you tubers too! I also really like Fleur de Force and Bubz Beauty because they’re so genuine and sweet. Also love Wong Fu Productions and Jubilee Project who do incredible moving short stories. Finally, if you love covers I’d definitely check out Kurt Hugo Schneider or Sam Tsui, they’re one of the most talented musicians every! Absolutely love this post! I’m so obsessed with watching nearly all these, especially Joe and Marcus at the moment. I seem to convince myself I will marry Marcus one day haha. I use WordPress lol otherwise Blogger?